Photos taken at 218 Fourth Ave. on May 22, 2008. 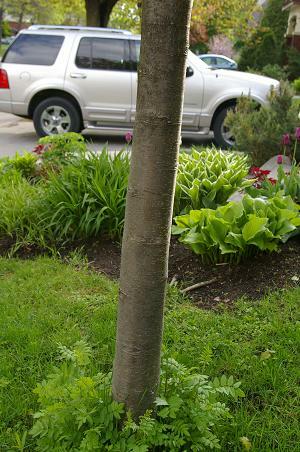 Usually mountain ash is a tall shrub or small tree in this area. Mountain ash have compound alternate toothed leaves. Honey locust and staghorn sumac have similar compound toothed leaves in an alternate pattern. Sumac's leaflets are generally longer than mountain ash. False spirea has leaves similar to staghorn sumac. 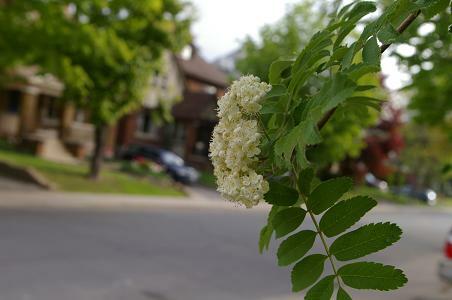 Ash, red elderberry and elder: these  have toothed compound leaves but in an opposite pattern.